At just 1,436 sq. ft. the Anchorage is a small slice of heaven! This log cabin layout is perfect for a weekend getaway lakeside, or mountainside, and also makes a darling retirement home! Main Floor. The main floor houses a large great room with picture windows, allowing you to take in whatever incredible views surround your log home. The ample kitchen and dinning space creates a perfect atmosphere for entertaining large groups – and making plenty of memories! Considering the Anchorage as a retirement home? Make the communal living space smaller and expand the bedroom on the first floor in to the master suite. This way you’ll have everything you need on the first floor and the stairs won’t ever become an issue. Loft. The loft of this home truly can be left up to your imagination! 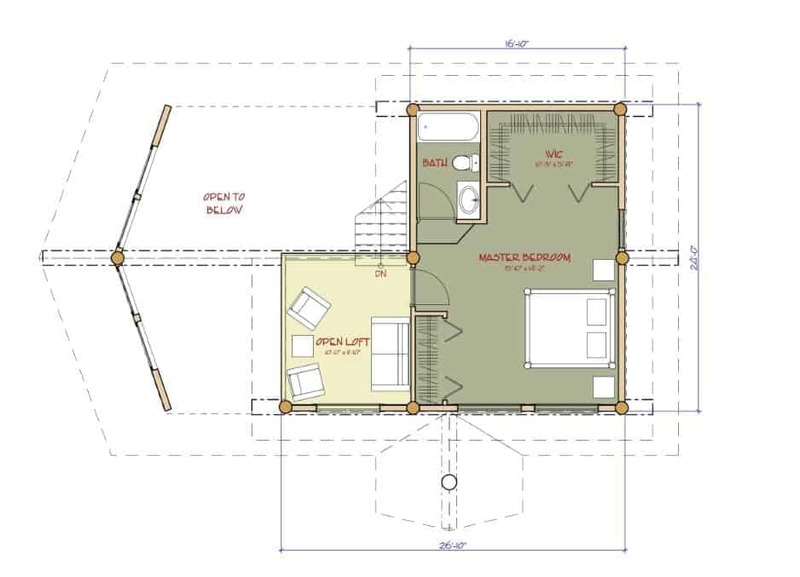 While our stock plan depicts the master bedroom with walk-in closet, ensuite and a small open loft area, you can use this space however you see fit! If you need more room for guests, transform this space in to two, smaller bedrooms. Not expecting many guests? Create a large open space for games, a library, hobbies or exercise! Don’t let the smaller square footage deter you – this home provides just as much customization potential as any of our designs! Contact us today to get started on your 2017 log home plans! Don’t love the Anchorage plan? 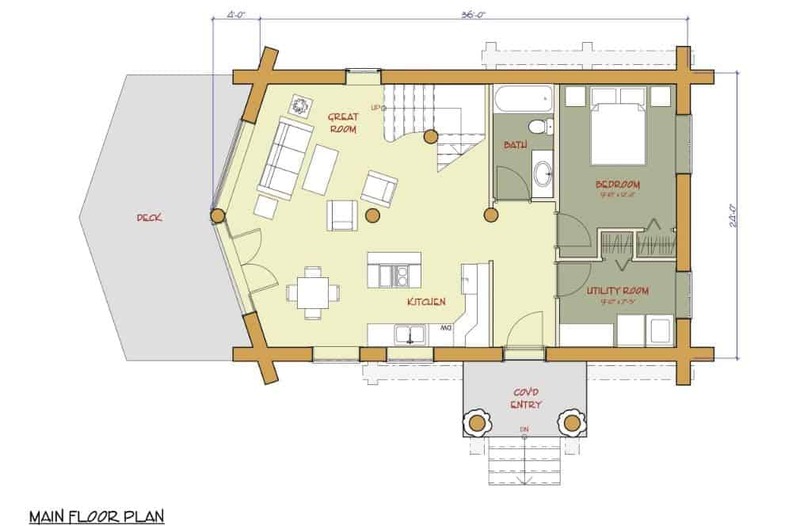 See all our log home floor plans here.